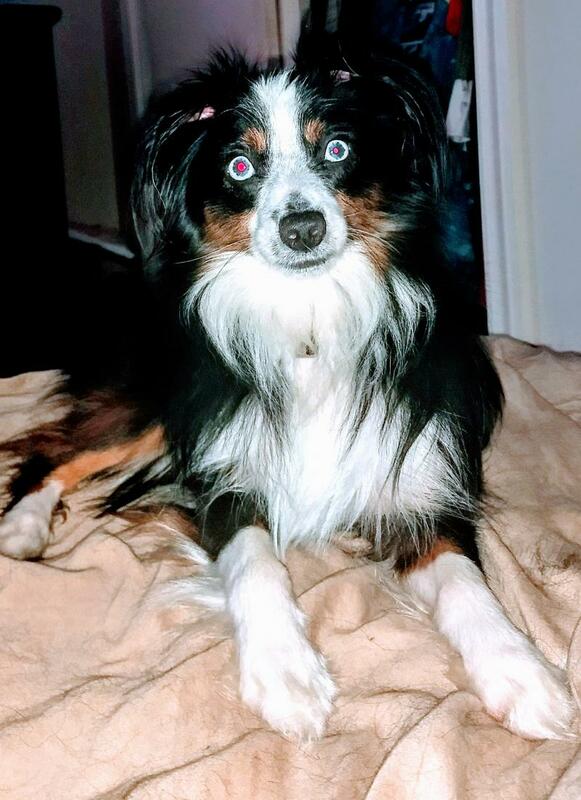 Moe is our toy Aussie at 11 1/2 inches. He is double registered with both the NSDR and ASDR. 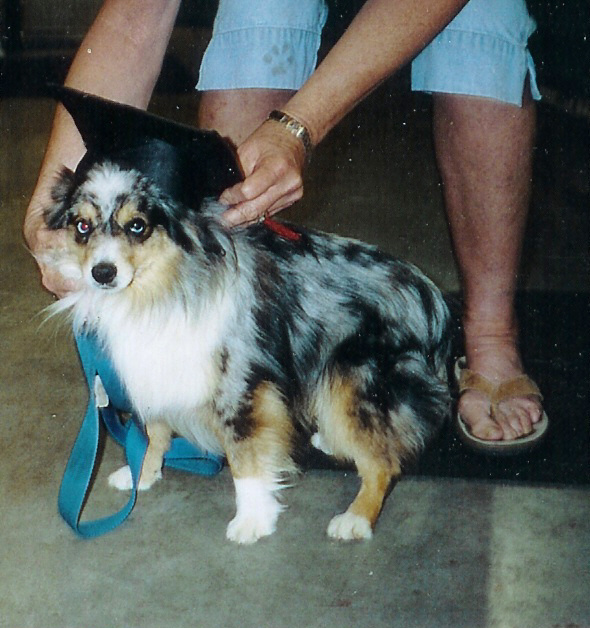 Moe graduated valedictorian from PetsMart in obedience class. Cody is our small teacup male. 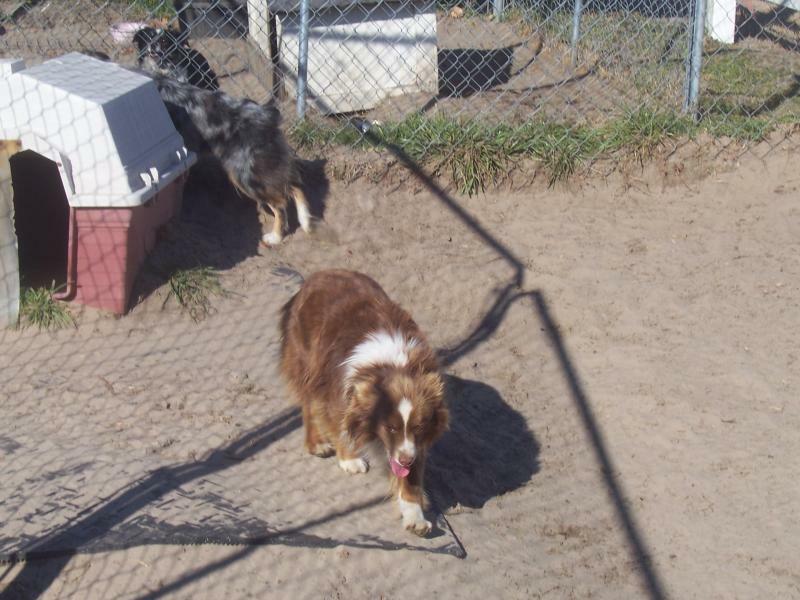 Ruger is our 10 inch toy with blue eyes. He is 12 lbs. Cocoa is our 13 inch tall mahogany tri-color stud. Copyright 2011 Rest-A-Bit Aussies. All rights reserved.